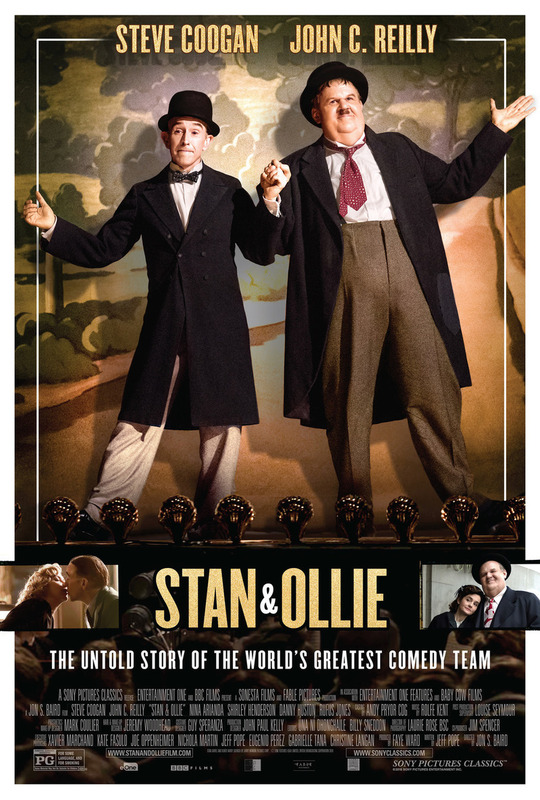 Stan & Ollie DVD and Blu-ray release date was set for March 26, 2019 and available on Digital HD from Amazon Video and iTunes on March 26, 2019. In the 1930s and 1940s, Stan Laurel and Oliver Hardy were one of the most popular comedy acts in movies, helplessly bumbling their way through one "fine mess" after another. But by the 1950s, they were has-beens, struggling with health problems and trying to find a way back into the movie business. They embarked on a tour of small theaters in Britain to perform their own material, and possibly re-ignite their old friendship. DVDs Release Dates is the best source to find out when does Stan & Ollie come out on DVD and Blu-ray. Dates do change so check back often as the release approaches.